Stone Curves Cohousing is an intergenerational community of 48 townhomes and condos located in sunny Tucson, Arizona. Our location, active community, affordable homes and beautiful native landscaping make Stone Curves a highly desirable cohousing community. Our homes are connected by a lovely circuitous tree-lined path where children scooter, and neighbors walk and talk. For the physically active, we are a quick 10-15 minutes drive to the Catalina Mountains, where hikers can access 100+ miles of trails for day hikes or backpacking trips. The Rillito River Path is 1/2 mile away where bicyclists, joggers and walkers enjoy accessing 130 miles of a non-motorized shared-use path. Within walking distance we have several grocery stores, shops and restaurants. We are also located on a transit/bus line that takes you the four miles to Downtown Tucson. Tucson, with its progressive politics, boasts three cohousing communities. One-half mile to our East is Sonora Cohousing and 4 miles to our West is Milagro Cohousing. Our community amenities include a large lawn for playing, a flock of chickens, a large community garden with 23 beds, a citrus grove, a treehouse, and playground. 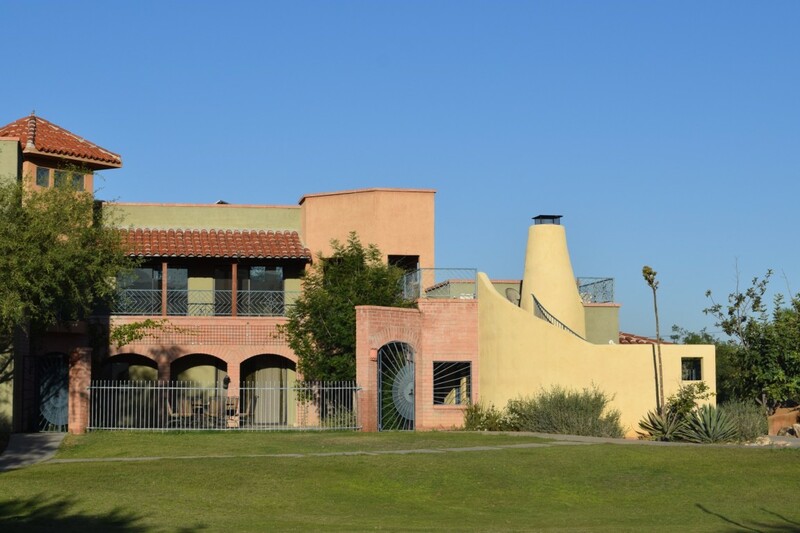 Our large 3,850 square foot common house has 16 rooms for all activities. The three guest bedrooms, teen room, exercise room, library, office, living room, laundry room, kitchen, dining room, and tot room surround an outdoor courtyard. Off to the side of our dining room is our outdoor gas grill and picnic tables. Accessible next to the common house is the children's playground, pool and spa. Behind the common house is our compost area, citrus grove (fed by grey water system) and 800 square foot workshop. Explore our website and learn about our wait list. Demand exceeds supply for our homes, so getting on our wait list is the way most families join our community.